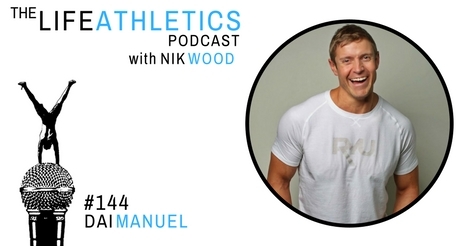 Hey Life Athletes, welcome to episode 144 of the Life Athletics podcast! Today’s guest Life Athlete is Dai Manuel. Dai comes with several titles – a Certified Fitness Professional, a Life Enhancer, an Entrepreneur, a Keynote Speaker, a Cross Fit Athlete; but ultimately, a Father. He wrote the book “Whole Life Fitness Manifesto” which teaches equipment-free workouts for a whole-life fitness that blends mindfulness and personal development. This episode talks about health, fitness, and well-being. Suffering from obesity as a teenager, he educated himself with these aspects and turned from FAT to FIT. If you want to learn how he did it, listen to this conversation. Dai also talks about his habit of action, his failures, and his inspirations. This is an inspiring episode for all the life athletes who want to feel good about themselves.